For any of you in the Boston area or in Texas near that terrible explosion, I hope you are safe. What a terrible week filled with so many senseless tragedies. Here's a question I'm hoping one of you will know the answer to. I'm changing my e-mail for here from my yahoo one to a new g-mail one. (Don't worry. I still get e-mail at the yahoo address.) But I set up my blogger profile with the yahoo one and all my comments on this blog go there even though I've switched my e-mail on blogger and as the administrator of the blog to the new g-mail address. Anyone know how to get your e-mailed comments to go to the new g-mail account? If you do, leave me a note in the comments. And thanks so much! Before I get to my fabulous interview today, I want to announce the winner of THE FLAME IN THE MIST. The winner is Rachel Ballard! Congrats! Rachel's already e-mailed me her address. 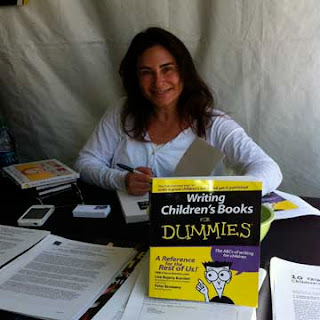 Today I’m excited to have Lisa Rojany Buccieri here to share about her new book, WRITING CHILDREN’S BOOKS FOR DUMMIES 2nd EDITION. 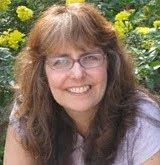 Lisa is the author of over 100 children’s and adult books, is a freelance publishing editor, and has been an editor with a number of publishing houses. One of the things I liked about this book was that Lisa hit the key elements of each subject she presented, for example, developing engaging characters, plotting, and revising. And she had a few great tips I hadn’t thought about for many of these subjects. Written with straightforward advice and a plethora of up-to-date recommendations, including the scoop on writing e-books, Writing Children's Books For Dummies provides step-by-step information on everything aspiring children's book authors need to know. Topics include researching the current marketplace, developing great stories and characters, writing captivating plots with drama, intriguing editors and agents, submitting queries and manuscripts, and making the most of social media marketing. Lisa Rojany Buccieri has written and ghostwritten more than 100 children's and grown-up's books, both fiction and nonfiction, including board books, picture books, and young adult series. Peter Economy is a bestselling author, coauthor, and ghostwriter of more than 55 books, including several For Dummies titles. 1. Tell us about yourself and your experiences as a writer and an editor. My entire professional life began when I was four and dictated the text of a picture book to my mom after I had created the illustrations. That was the last time (thankfully, trust me) that I ever illustrated anything for a book. Then when I was a teen I decided that I wanted to do something revolving around reading and writing when I grew up. That decision evolved into many years as an Editor or Editorial Director in corporate publishing from houses such as Price Stern Sloan/Penguin to a pop-up company called Intervisual Books to Golden Books to my current partnership in www.nyjournalofbooks.com an online only book review site that was launched in 2010. All during this time I wrote, had a bunch of books published, and edited books for other writers until I chose to concentrate full time on Editorial Services of Los Angeles. I find it incredibly gratifying to be able to work with writers at all levels of experience to both teach them about the writing process and help them put their best efforts out into the world. It’s a great feeling when the writers come back and tell me about some specific part of the process that resonated with them, turned on a lightbulb and greatly improved their writing. Between loving my work and my wonderful children, I think I have the best life ever! 2. It’s awesome that you were able to have a career focused on reading and writing like you dreamed of. Many of us need a full-time other career too. You tackle the whole gambit of developing a story idea, writing picture books, nonfiction books, middle grade stories, and young adult books, editing your manuscript, finding an agent and publisher, and social media. Share your tips on discussing so many aspects of writing and covering the important points without ending up with a 1000 page book? As with any kind of building, creating a solid foundation before you add on stories is a good idea (pardon the awful pun). The main character has to shine; so I encourage my writers to develop and really flesh out their characters using a character bible. Knowing your characters inside and out means that you can see them in your mind’s eye and thus recreate that experience for your readers. If you have memorable characters, you have a solid foundation upon which to build. If the environment will play a large part in a book (fantasy world? magical world?) I encourage the same bible building approach for environments and places. If you can imbue a place (realistic or otherwise) with the kinds of details that allow readers to imagine themselves there, then you have created a successful environment in which to share your characters and your story. I also strongly urge writers to create an action outline before they really delve into their story. An action outline consists of three points per chapter; you need to answer these questions: 1) How does this chapter develop my main character through his or her actions / reactions? 2) How does this chapter push forward or develop the plot actionwise? 3) How does this chapter contribute conflict or drama to keep the pace moving? All three questions need to be answered in each chapter for it to be complete. I use this approach even when breaking down a picture book paragraph by paragraph! It really keeps the writing tight, exciting, compelling, purposeful. And then comes the character arc. 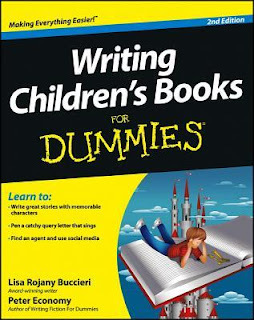 This is a visual aid that we provide in WRITING CHILDREN’S BOOKS FOR DUMMIES 2ND EDITION. Essentially, it takes the main character through enough action to both develop that character and provide a satisfying plotline for the book. Building these foundations early on can save major rewriting. Though edits and refinements based on solid, reliable feedback is necessary, having these tools will often save writers the headache of building then having to tear down or completely revise. These are the most salient points I hope that writers, experienced and beginner, will pull from the book to help them with their writing. 3. Those are great questions to ask yourself. And I’m looking at them as I revise a few troublesome chapters right now in my manuscript. What are you hoping readers will take from your book? 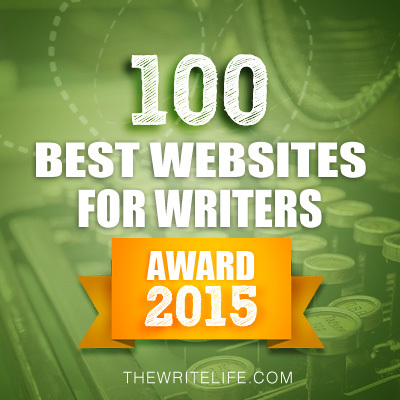 What about experienced writers? 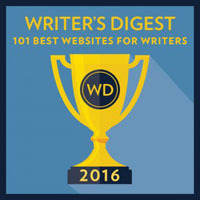 about solid writing techniques and the craft of writing and revising that it is applicable to children’s book writers and those who write for emerging adults or adults. Really! Good writing is good writing. And even experienced writers can use a boost, a reminder, a fix-it checklist, or a new approach to keep their writing strong and fresh. Listen, as a matter of course, I get feedback on every single piece that I write, whether it is a book review or an entire novel, whether I pay for professional editing or trade services. I would not dare send anything out into the world without another experienced eye to point out what I may have missed, what I could improve on, or when I have fallen in love with my words and need to let them go! I mean, aren’t we all that way? We write something, massage it, print it out, and it feels done, right? 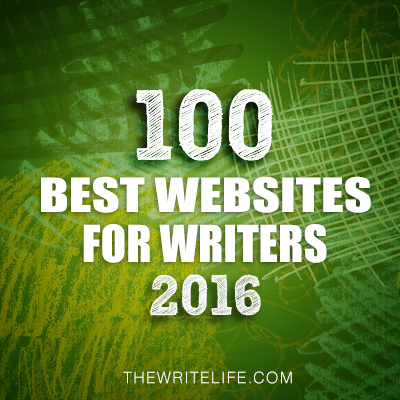 Our blood, sweat, and tears on the pages—it must be perfect! The sad truth is that unless you are writing a journal for your eyes only, your work likely needs another set of eyes to make it truly sparkle. 4. I agree that there was so much helpful in your book on the craft of writing and you share it so concisely. One of the things you talk about in creating compelling characters is making a character bible. Can you share a bit about that? See above. The most important aspect of a book is the main character and his or her voice. If those are strong, and if the character evolves and changes throughout the course of the book, then the other pieces all have a much better chance of success as an overall package. A compelling main character, even in a picture book, who deals with life conflicts in interesting (even humorous) ways and has changed as a result of those experiences can drive a writer from obscurity to success faster than anything else. 5. 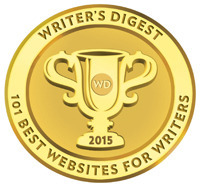 What are some of the dialogue no-no’s you included in your chapter on writing good dialogue? This is a fun one, actually, because dialogue mistakes can be hilarious. Most writers, after a tiny bit of feedback on their dialogue feel like slapping themselves upside the head (which of course saves me the trouble of doing it). For instance, when you speak with someone, anyone, do you repeat their name each time you open your mouth? Of course not. See? Easy to forget. Here’s another one: When characters are greeting one another, do we need to hear every “Hi, there” or “Pleased to meetcha” or “Hello, how are you?” or “Goodbye! See you soon!”? What does that dialogue truly add to the story? And here’s a common one: When a character speaks in complete sentences with no contractions or incomplete sentences and sounds just like the narrative every time she opens her mouth, she is going to come across as a stodgy old British schoolmistress wielding a spanking rod as opposed to someone who resembles a human being and not a robot or worse, a cliché! Last one here is a common mistake: Don’t try to sound cool and hip, using the latest slang you have heard from your tweens or teens or on TV. Not only will it be outdated by the time the book makes it into its print or digital life, it will make the writer look like a complete dork. 6. Those are great tips. It’s hard not to write in complete sentences because it’s not grammatically correct, but you’re right, people don’t talk like that. One of the things I loved in the chapter on revising was your three rules for revision. Can you share them with us? These revision and tightening rules directly tie in to the questions you need to ask to create an action outline. 1) Does this paragraph, sentence, bit of dialogue, or phrase contribute to the storyline? If no, hit the delete button! 2) Does it develop the main character? How? Can’t really explain? Cut it out! 3) And does it increase the drama or accelerate the pacing? Not really? Bye bye! 7. Those are great questions to ask ourselves. And like you say, we need to be willing to let go of those lovely written parts that don’t move the story along. I’m sure you drew on your experiences as an editor in writing this book. What are some of the common errors you find in the projects you work on that we should watch out for? One of the biggest mistakes I see over and over is that each character’s dialogue sounds like every other character’s dialogue. Adults and children need to sound different and have different body language. And each needs to sound somewhat different from the next. Dialogue should also stand apart from narrative. They are two different beasts and ought not be confounded. Another common error is failing to create imaginary worlds in enough detail for the reader to “get” that there is an alternate universe or reality in which the action takes place. A bible can really help nail down the characteristics of place. Then dropping developmental bits here and there as we progress through the book is the best way to flesh out those imaginary worlds. Failing to transition from one scene or another leaves readers lost. If I feel lost while editing, imagine what a reader will feel like! Data dumps are another easy mistake to make. You cannot just give every bit of background information on a character in one place. Most likely most of it is unnecessary in the story and belongs only in your character bible, again, to drop tidbits of development as you flesh out the character throughout the book. 8. I confess that my characters sometimes sound too much like each other until I start getting to know them better as I revise. Tell us your recommendations for using social media to develop our writing platform and market our books. What have you found to be the most useful in your own career as a writer and in having this book be number one on Amazon? Honestly, word of mouth is the best; and today that’s mostly digital. To jumpstart word of mouth, I send out individualized offers of review copies or giveaway copies or free interviews or writing tips to every professional colleague, to bloggers who specialize in writing and books, to librarians, to other writers and illustrators, to editors, to teachers and university professors—basically, real people with whom you make unique digital contact in every instance. So, yes, that may mean I send out 500 separate emails in a month, but at least I can follow up on those emails personally. I have had less success with spam-like announcements or offerings. People still like to feel as if you are treating them as individuals as opposed to just part of the crowd. And from what I understand from social media experts and analysts, unless you are a bona fide global celebrity with hundreds of thousands of followers, most undirected social media blasts are a waste of time. 9. Wow! That’s dedication to spreading the word about your book. I bet you have an incredibly helpful contact list. Tell us about some of the recent children’s books you’ve written. I have some picture books my agent is shopping around right now; but even I don’t hold my breath for fear of passing out with the wait. Placing a book takes time and that adage is doubled when it comes to picture books when you are not an illustrator as well. Surviving the Angel of Death: The True Story of a Mengele Twin in Auschwitz, a memoir a wrote for Eva Kor covering her experience when she was ten years old is one of the last books I’ve had time to write—that I can tell you about, anyway. It’s been translated into a few foreign languages and continues to get traction in school districts all over the country. I do a lot of ghostwriting and adaptations, which can be a lot of fun—and pay the mortgage! LOL And of course I love to help writers make their work the best it can be so I spend the majority of my time these last few years editing children’s books: picture books to YA novels. Lisa and her publisher have generously offered a copy of WRITING CHILDREN’S BOOKS FOR DUMMIES 2nd EDITION for a giveaway. To enter, all you need to do is be a follower (just click the follow button if you’re not a follower) and leave a comment by midnight on May 4th. I’ll announce the winner on May 6th. Tomorrow I have a Tuesday tip by Judith Roth and a giveaway of SERENDIPITY AND ME, a middle grade contemporary novel. On Wednesday, I’m participating in the Shower of Books Book Giveaway Blog Hop. I’ve got a great choice of new YA books to choose from. On Friday, I'm doing an ARC giveaway of THE 5th WAVE by Rick Yancy. It's a dystopian/sci-fi story that's gotten good reviews so I'm excited to share it with you. On Wednesday next week, I’m interviewing Jessica Bell about her craft books SHOW & TELL IN A NUTSHELL: DEMONSTRATED TRANSITIONS FROM TELLING TO SHOWING and ADVERBS & CLICHÉS IN A NUTSHELL: DEMONSTRATED SUBVERSIONS OF ADVERBS & CLICHÉS INTO GOURMET IMAGERY. And one lucky winner will win one of these books. The following Monday I’m interviewing Liesl Shurtliff and giving away a copy of RUMP: THE TRUE STORY OF RUMPLESTILTSKIN. This is a fantastic retelling of this fairytale with a really fresh spin on it. Wednesday that week I’m excited to interview one of our followers Lisa Gail Green about her debut novel, DJINN: THE BINDING STONE, a YA paranormal story I can’t wait to read. There will be a giveaway too. I never knew there was a first edition. Congrats on having a second. Can't wait to get this and check it out! From the interview, I can tell that book is comprehensive. Some great tips. I agree with the character bible. I like to cut pictures of my characters out of magazines and amend them with physical characteristics before I write too much, so I can work descriptions bit by bit into my story. It helps me to visualize. Great interview...and this would be a good book for me. Question regarding gmail. I was going to set up a new account but make it at hotmail or "live"....is gmail THE best way to go ? Just curious! What a great interview, Natalie. I love her tips, and I do think they apply to all writing, for the most part. Exactly what I needed to hear right now for my own revision process on my adult fiction! Thanks. :) Wish I had an answer for you on your email question, but sadly, email on blogger is trickier than I am. I'm a huge fan of the Dummies books. I love that someone's written one for this topic. 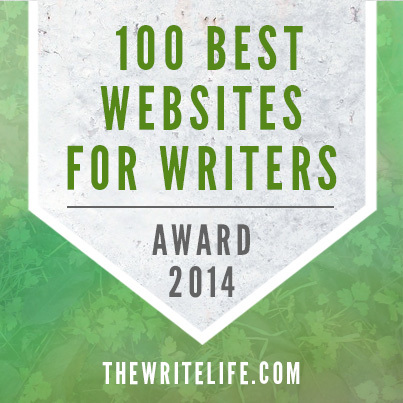 Congratulations to Rachel and thanks for the wonderful glimpse into what she's written. I need to look into this book! Thanks for word on it! This books sounds like it has so much good information in easily digestible chunks. Thanks for the interview and for letting us know a little more about it! I like the questions you ask for each chapter. Good advice regardless of what age group you write for! Wow, who knew there was so much involved in writing a children's book! Well done to those who give it a go! Nice interview Natalie, I'm taking notes on all the wonderful suggestions. I'll be looking for the book as well. Awesome interview! The book sounds very helpful. I need this book!!! Wow such excellent advice! And I really need to read that book. Seen it around for ages, but I need to make it mine. If I ever tackle a kids' book, I know where to go for help. Great tips. Need to feature this tomorrow. Congratulations for it going into a second edition! And what great tips! As for changing the email, go to blogger.com. At the top right, you should see your picture, and you can click on "Account Settings." Then you can edit your email. Also, if you want to change your email concerning your own blog comments (i.e. if someone wants to email you back based on your comment), then go to blogger.com. Click "Settings." Click "Mobile and Email." Where it says "Comment Notification Email," erase the old email and put in your new one, then "Save Settings." That should work to have your blog comments come to your new email. Great interview! Congrats on the second edition! I loved that Lisa started her career at age 4! Great interview! I might've seen the first edition of this book before. Thanks for the great interview. I think I've read the first edition. But that was a while ago. The reason I never say the other person's name in conversation is because I've usually forgetten it. Thank goodness we don't talk like some writers write dialogue. I'd be in trouble with the name thing if it were true. Great interview and congrats on the 2nd edition! Wow - all the great tips in this interview make me want more! Going to have to look for this book. I like Lisa's focus on forging individual, personal relationships. That sounds like an amazing amount of work to contact so many by email, but if it works well, that's excellent! Those are some fantastic tips! This is a must have book for writers. Thanks for sharing LiSA with us Natalie. Great interview. Thanks for that and for running the giveaway. I feel like that book was written just for me. I always keep a character bible and find it so handy. I enjoyed reading this interview. This book will be great for me to study as I work to revise my novel this summer. Maybe if I do not win the giveaway, I will get a copy for Mother's Day! I will be posting this on Facebook to share. THIS IS SO AWESOME OF YOU! I'd love to win a copy to help get through revisions. Great interview! This sounds like an awesome book, and I love books on the writing craft. This interview is filled with great advice! I'm sure the book is too! What a great giveaway! This sounds like a book I should get my hands on! Thanks for highlighting it today. One can never have too many books on craft. Sounds like a great one! I am an aspiring PB author so this is a must for my library. I soooooo want and NEED this book. Thanks for the interview and the opportunity to win a copy. I love the "for Dummies" books--because that's exactly what I am. At least, I always feel like an absolute beginner, even if I'm really not. I love these Dummies books so much that I have a whole shelf of them on my book case! Kinda a junkie for them but oh well, who cares, they're so packed with great info all in one easy to read book. As I always do, I went ahead and mentioned this post on my blog. Thanks! Great interview Natalie. Thanks for the giveaway. My friend just finished writing a children's book and we are trying to publish it, so this would be perfect timing!